Going Public – Telling it as it is? is a three-day symposium aimed at exploring storytelling as a mode for the production and reception of public art. 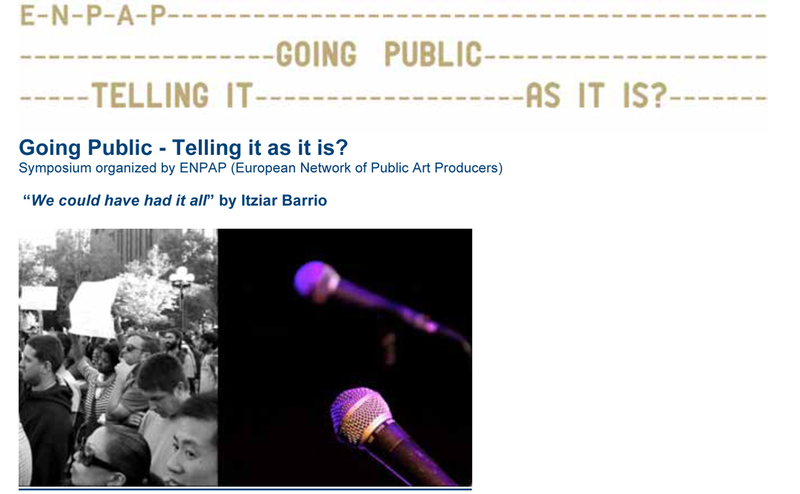 It features a series of lecture performances in BizBAK UPV/EHU, performances and concert in Pabellón6ZAWP and artist commissions spread throughout the city of Bilbao, and is accompanied by a closed network meeting in ARTIUM centre museum (Vitoria-Gasteiz) that draws together selected professionals in the field.